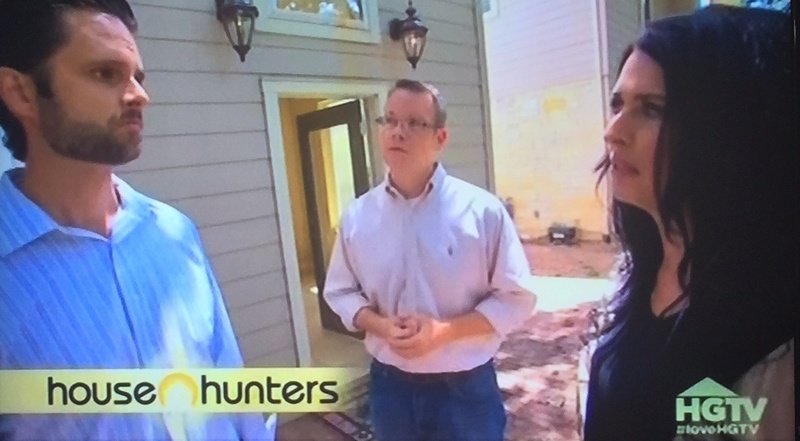 Ok ok, I admit it... sometimes I binge watch House Hunters. Though staged and highly predictable - I find the show entertaining. I enjoy "touring" the houses, reacting to the market values in other areas (which, as a southern Californian, means frequently saying, "Ooh- I could afford a mansion there!") and placing bets with fellow watchers on which property the hunters are ultimately going to choose. Each of the three has to be completely different than the other two and you don't need to worry about specifics (like number of bedrooms needed). "I know you want to stay in your neighborhood and keep your budget at or under 300k, but I found the PERFECT house and it's only 50 miles away from your desired location and $150k over budget! Let's go take a look...". "Sounds great - let's see it." You will be forced to work with couples, friends and family members who are split 50/50 on traditional homes vs. modern homes. Bring your gloves, because there's going to be a boxing match between modern clean lines and nostalgic charm. We both know that it simply isn't that hard to paint - but if you abide by the House Hunters rules, your buyers will get caught up on a minor detail at the beggining of the house hunt. Once they've picked the thing they loathe the most, they will be required to mention it at least 10 times per showing. "So I'd really like a house that's just a few steps from the ocean in La Jolla, California. I need 4 bedrooms, 3 bathrooms, a modern kitchen and updated fixtures... and my budget is $125k." It's ok, you can laugh. Of course in real life, none of these rules apply, but finding buyers their dream property is no small task. You are faced with indecisive, budget restricted, detail-driven home seekers who are looking to you to match them to the perfect home - and you do it with grace. Thank you for putting up with all of us! Would you like having to conform to House Hunter rules? What would be the biggest pros and cons?